SPC. 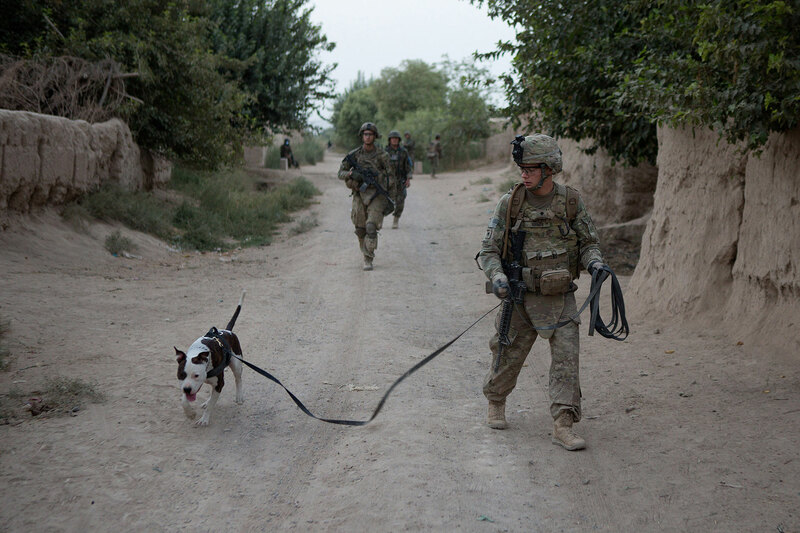 Alexander Reimer, of the 4th Brigade Combat Team, 82nd Airborne Division, and his Tactical Explosive Detection Dog Howard accompany a foot patrol in Zharay District, Kandahar Province on Tuesday, August 7, 2012. Howard is able to detect the presence of IEDs by scent while on patrol with soldiers.